Is it me or has there been a major surge of pregnant celebrities popping up over the past few months? It seems like the hottest new celeb. trend has been sporting a big ol' prego belly. Victoria Beckham, Mariah Carey, Jewel, Natalie Portman, Kate Hudson, Alicia Silverstone, and Alyssa Milano are just a few of my Hollywood faves rocking a baby bump. While I love how fabulous each of these prego stars are, my absolute favorite superstar mommy-to-be is without a doubt...MY SISTER! I'm so thrilled to become a first time aunt this August. You better believe I'm going to spoil my nephew-to-be rotten and of course get him up to speed with all the guy grooming essentials he's going to need in life! Taking care of herself and her little tomato (his current size and therefore nickname) are my sister's priority and therefore finding pregnancy-safe products are essential. There are so many uncertainties, safety concerns, body-changes, and unique skin-care issues during one's pregnancy. Finding great products that are safe yet effective is not an easy feat. In fact, many brands claim to be "all-natural" and organic but are not, so it's important to find a brand you can trust. Luckily my sister recently discovered Belli Skincare and has been raving about the brand ever since. She and I both wanted to make sure all my mommy, mommy-to-be, and potential mommy-to-be readers got properly acquainted with this fantastic line. Belli Pregnancy was developed by a physician who created the line for his then pregnant wife. Together they founded the entire Belli brand which includes products for pregnant women, new moms and babies. Belli Pregnancy products are teratology screened for safety. The company searches over 16 million medical research articles in thousands of journals and uses this info. to exclude ingredients with even remote links to birth defects or problems with pregnancy. Their Belli Motherhood line is properly screened to avoid ingredients linked to harmful effects during breastfeeding and their Belli Baby line is screened extensively for any chemicals which can act like hormones that might interfere with normal development of the reproductive system. They're also the #1 recommended brand by OB-GYNS. Acne Cleansing Facial Wash- This acne cleanser smells great and according to my sister is gentle on the skin and does a great job of keeping it clear. An effective acne wash is key since your hormones are going a little wild and clear skin is essential for a glowing pregnant look. Elastic Belly Oil- This moisturizing oil nourishes the skin and protects against dreaded stretchmarks. The oil also has a calming lavender and almond oil aroma. This is my sister's favorite product. Anti-Cholasma Facial Sunscreen SPF-25-This lightly tinted moisturizer is thick and creamy, albeit a bit pasty. Although my sister thought the sunscreen didn't blend as well as other sunscreens she's used, she did say it was effective and gentle on the skin. My sister says she's excited to test out the rest of the line and in a few months use the Belli Motherhood line too. In fact, her only real complaint, was that she wished the Belli Pregnancy line came with a regular facial moisturizer for day and night use. So, Belli keep the products coming! Also, for those of you thinking about adding Belli to your beauty routine, listen up! Until March 21st, when you shop Belli skincare a portion of the proceeds will go to the March for Babies. When a shopper spends $100, they can pick one of three complimentary Belli Duo sets (up to $38.50 value) as a token of their thanks for supporting the March of Dimes. This is a great cause and a great way to help support the organization and help ensure that all babies are born healthy. I am 20 weeks pregnant and use all three products you listed and love each one of them. Your sister should also check out Novena Skin Care, they also have great products! I especially love their organic blemish lotion, cucumber-cranberry eye gel, beauty belly cream and bearberry face lotion. All must haves in addition to the Belli products above! BTW - If she is looking for a daily face lotion the Novena one would just just what she is looking for! 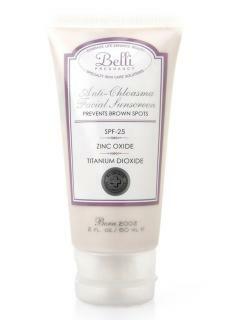 I use the Belli sun screen on top of the lotion! One more thing, I forgot Novena's Fruit Face Wash is a dream! I will probably continue to use it forever. Hi - Regarding the comments above...if Novena isn't teratology screened how would someone know that it's safe to use during pregnancy?